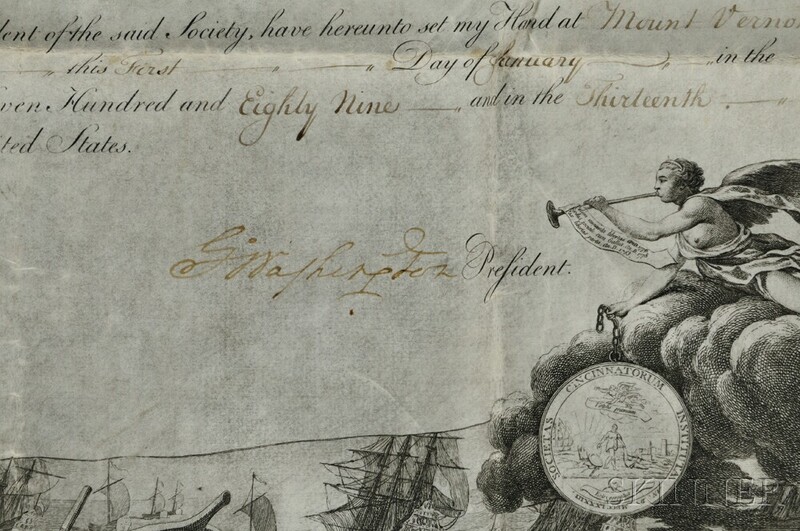 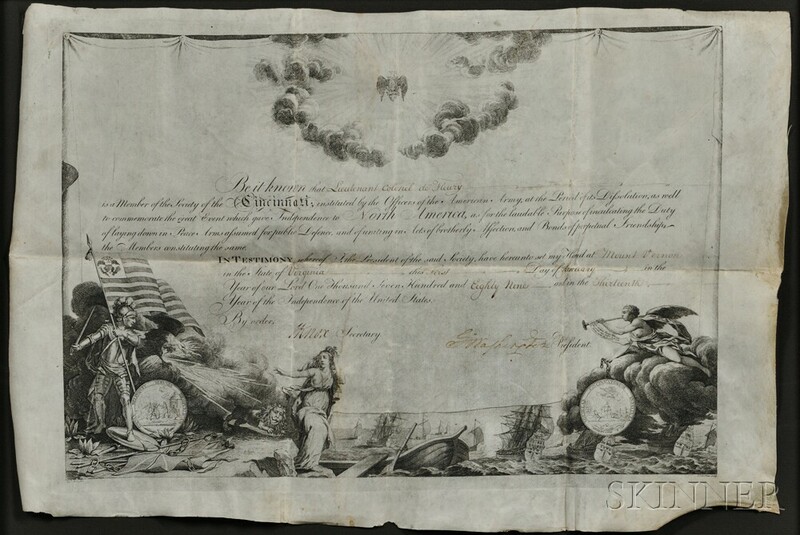 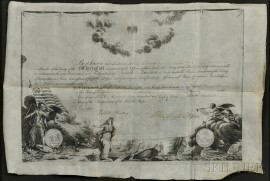 Washington, George (1732-1799) Document Signed, Mount Vernon, Virginia, 1 February 1789, Membership Certificate in the Society of the Cincinnati for François-Louis Teissèdre de Fleury. 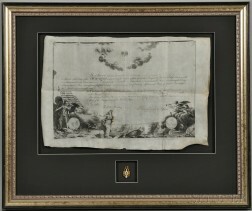 Large folio-format parchment document, engraved and fulfilled by hand; with the Order's enameled medal; old folds to parchment, signature slightly faded, matted and framed with the medal, 23 x 15 1/2 in. 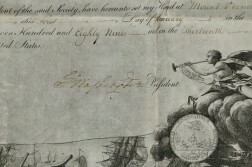 Lieutenant Colonel François-Louis Teissèdre de Fleury (1749-1799) distinguished himself at the Battle of Stony Point, New York in 1779. 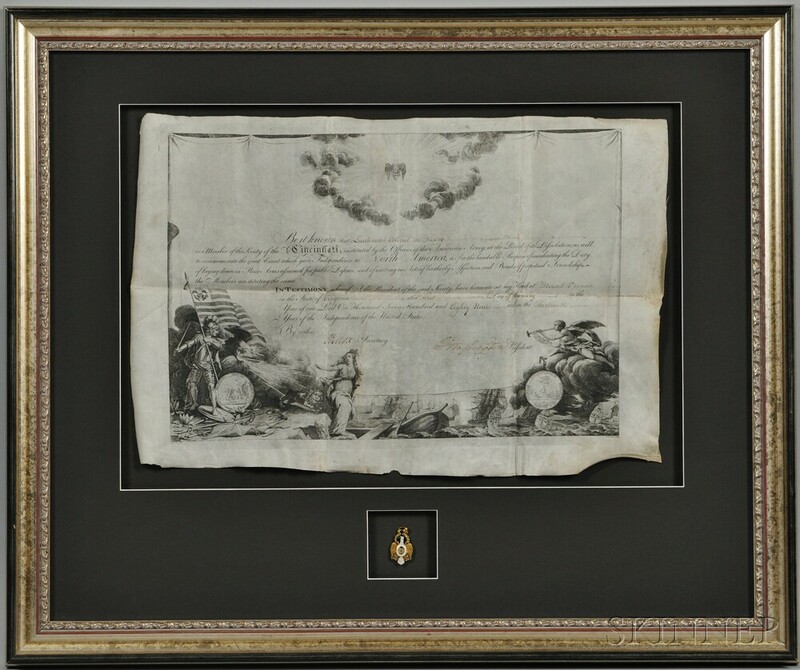 Washington signed Fleury's parchment just a month before the first American presidential term started on March 4, 1789. 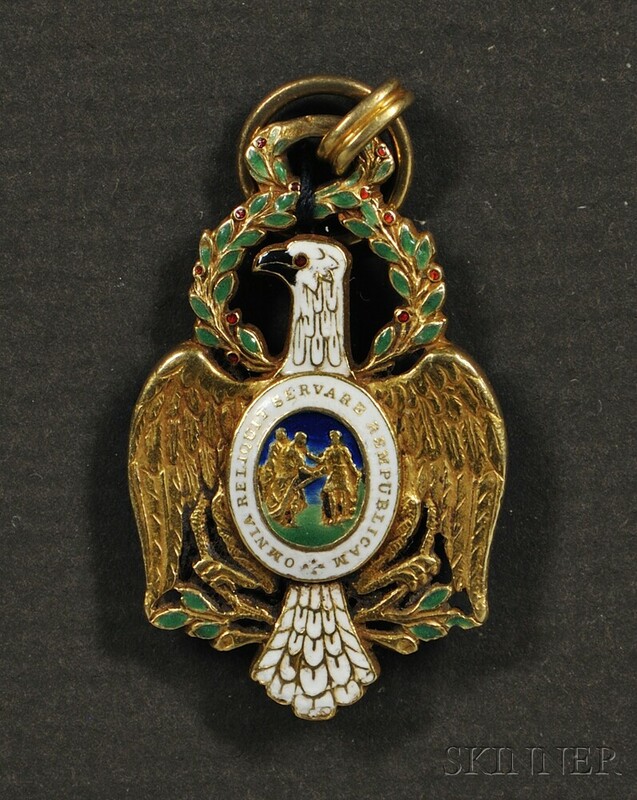 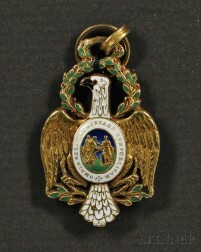 The medal tests as 18kt gold.